Apart from the fact that Mandy Hansen is the daughter of captain Sig Hansen, what else do you know about her? 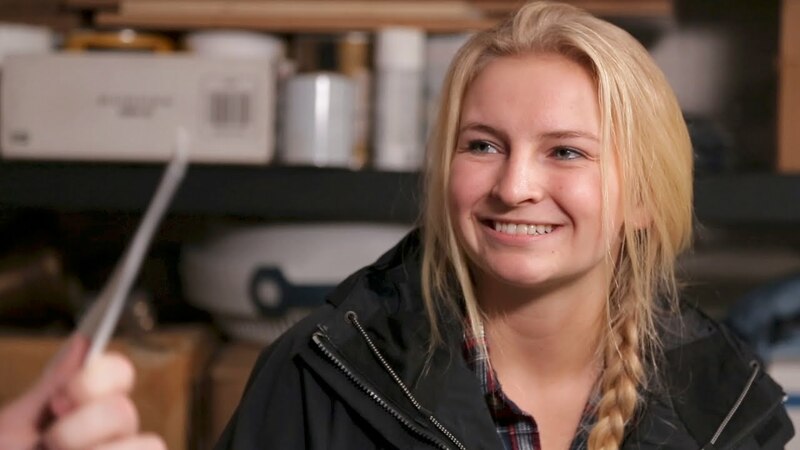 From featuring in Discovery Channel’s Deadliest Catch show to a bunch of personal endeavors, Mandy has actually built a profile for herself over the years. Mandy’s life on the show as part of the fisherman clan is not so different from her everyday life with her family. She has been likened to her father in so many ways especially n the aspect of strength. Find out more about Sig Hansen’s daughter as you scroll through. She was born in 1996 to her parents Sig Hansen (father) and June Hansen (mother). Being a daughter of the patriarch of the fisherman family, Mandy Hansen grew up learning, loving and familiarizing with the act of fishing, crabbing, and boating. Together with her father in their Alaskan fishing vessel, F/V Northwestern, they cruise the Bering seas during the fishing seasons and feed with their audience with intriguing crabbing explorations. Meanwhile, she is not Sig’s biological daughter. Mandy’s mother had her and her sister Nina from a previous marriage. Sig Hansen adopted the two girls as his own after his marriage to June after which they took his last name. Crabbing in the Bering sea was never something challenging to Mandy as she has always loved water. More so, it is a way of life for the Hansens led by their father. It is important to note that Mandy was never forced into The Deadliest Catch show. She first appeared on the show in 2009 as a guest star. She was 11 at the time and was not regarded as a full member yet. Mandy Hansen joined The Deadliest Catch in April 2014 as a Deckhand. It had been a hard decision for her mother, allowing her youngest daughter in the waters, but seeing how willing she was she okayed the idea. Her father too wanted to keep an eye on her which was why he let her into the show. Before becoming a regular on the show, Mandy would join her father in the Northwestern vessel every summer exploring the seas with the crew. She would always look forward to the next summer after a thrilling experience on the vessel. After becoming a part of the team she was soon assigned the position of the captain’s (Sig) righthand on the vessel. Mandy may have found herself in a male-dominated field but that did not deter her from giving it her all. One of her remarkable acts was when she helped rescue the ship from fires in her early days on the show. She has worked in the King and Opilio crab seasons and many other seasons on the show. Hansen has intentions of getting into a maritime academy and getting a license to further spread her horizon in the marine world. Mandy Hansen has made her own personal profit by being a part of the show since 2014. The Deadliest Catch documentary show on Discovery shows its viewers what life at sea looks like for fishing vessels and their crews. 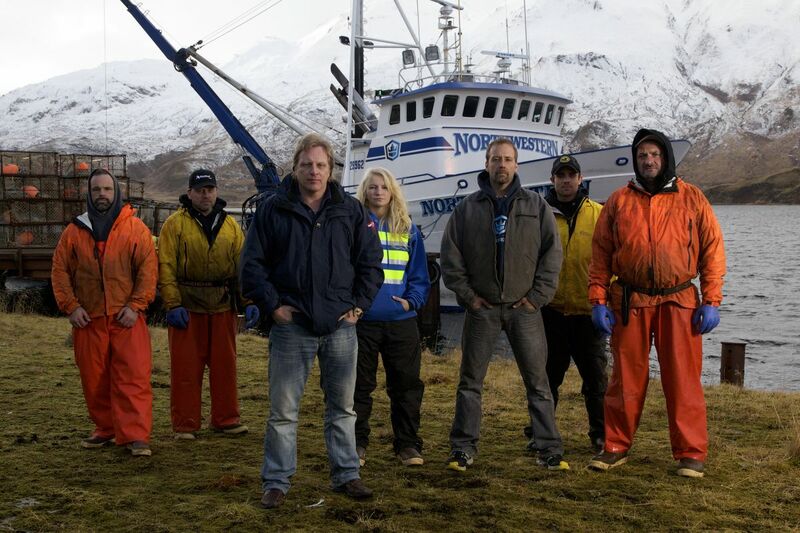 Apart from Mandy, the show features her father Sig and the fishing crew, as well as the Northwestern vessel. The show which has become a massive hit for Discovery channel makes earnings from its significant viewership and ratings. According to reports, Mandy Hansen’s regular appearances on the show has earned her lots of money. Her net worth has been estimated by some sources to be about $1 million although she has not confirmed this. Away from the Discovery screens, Mandy Hansen is a happily married woman. She is married to fellow Deadliest Catch star Clark Pederson. The couple got married in 2017 and have been together since then. It was the most pleasant experience to the viewers when Pederson, a Deckhand asked for Sig’s consent after revealing his feelings for his daughter, on one of the episodes of the show. From all indications, Sig gave his blessings and it has been an awesome experience for the Deadliest Catch couple. Their wedding took place at the Pacific Fisherman Shipyard in Seattle in front of the Northwestern vessel; her family and friends were also present. They have no children at the moment.